The following are the latest results contributed by HM Courts Service, for cases sentenced by West Sussex Magistrates’ Court sitting at Worthing from June 5 to June 8, 2017. 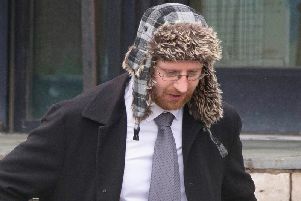 Jonathan Gordine, 34, of Harbour Way, Shoreham Beach, was fined £576 and must pay £57 victim surcharge, £85 costs, after admitting drink-driving (59mg of alcohol in 100ml of breath) in Brighton Road, Shoreham, on May 13, 2017. He was disqualified from driving for 15 months. Christian Ngueguim-Sonfack, 43, of Wick Court, Phoenix Close, Littlehampton, was discharged conditionally for 12 months and must pay £20 victim surcharge, £85 costs, after admitting failing to promptly notify the Department of Work and Pensions of a change in circumstances, namely an increase in earnings, affecting Housing Benefit in Littlehampton between December 21, 2015, and September 25, 2016. Aaron Phillips, 38, of Rowlands Road, Worthing, was given a community order and must carry out 120 hours’ unpaid work after admitting drink-driving (107mg alcohol in 100ml of breath) in Brighton Road, Worthing, on May 20, 2017. He must pay £85 victim surcharge, £85 costs, and was disqualified from driving for 26 months. Chelsea Rigby, 20, of Harvey Court, Blackbourne Chase, Littlehampton, was fined £80 and must pay £30 victim surcharge, £85 costs, after admitting possessing cannabis in Harvey Court, Blackbourne Chase, Littlehampton, on May 20, 2017. Benjamin Tapp, 35, of Buckingham Court, Warren Road, Worthing, was fined £300 and must pay £30 victim surcharge, £85 costs, after admitting failing to provide a specimen for analysis when required by police in Worthing on May 19, 2017. He was disqualified from driving for 16 months. Jonathan Tredwell, 51, of St Elmo Road, Worthing, was fined £40 and must pay £42.44 compensation, £30 victim surcharge, £85 costs, after admitting stealing meat worth £42.44 from The Co-op, Lancing, on May 20, 2017. He also admitted breaching a conditional discharge order and was fined £40 for the original offence of stealing 20 small bottles of squash worth £49.80 from Morrisons, Worthing, on August 23, 2016. Sian Sims, 28, of The Strand, Goring, was fined £135 and must pay £30 victim surcharge, £85 costs, after admitting assaulting a police constable in Worthing on May 20, 2017. She was fined £50 after admitting possessing a medium-sized bag of cannabis and cannabis resin in Limbrick Close, Goring, on May 20, 2017. Michael Sines, 41, of Whitebeam Road, Durrington, was given a five-month concurrent prison sentence, suspended for 12 months, and must pay £1,353.80 compensation after admitting fraud by false representation, offering Apple computers and phones for sale in Worthing on January 11, 2017. He was given a five-month concurrent prison sentence, suspended for 12 months, after admitting fraud by false representation, offering Apple computers and phones for sale in Worthing on January 10, 2017. Robert Chadwick, 42, of Marine Place, Worthing, must pay £124.50 compensation and £150 costs after being found guilty of stealing four bottles of brandy worth £124.50 from Waitrose, Chichester, on February 18, 2017. He also admitted disorderly behaviour while drunk in High Street, Worthing, on May 17, 2017, no separate penalty.